The Ferrets’ Fantasy Cover Flashfiction Challenge . . . Continued! Well . . . in a manner of speaking, anyway! We’re not writing another series of our own interpretations (yet), no. (Although of course we Ferrets are always open to inspiration. . .) However, we absolutely invite you to do so – and let us know if you do! In service to that, here are a few more covers – and Ferret commentary – from the shortlist we voted over for the focus of this last one! 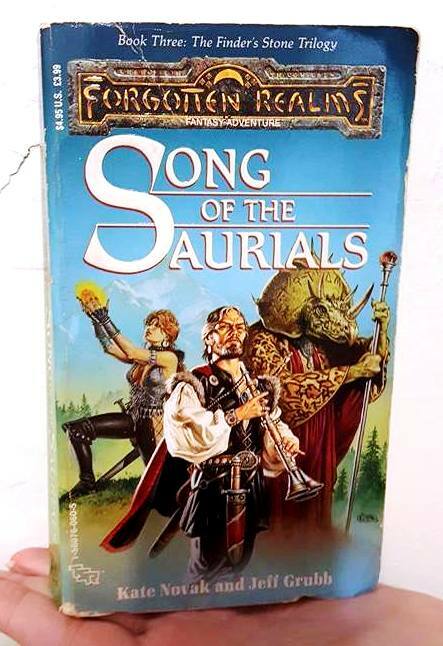 This first one was actually tied for Ferret votes with Song of the Saurials, which was of course our final choice for the flashfiction challenge – at least this time. The above cover was also my personal favourite from the voting list, to be honest, and I may well write something from this cover (as well as one that did not make this shortlist) in future! As soon as the bandits leapt out of their hiding places in the thick underbrush, Gregory the Bard knew he had inadvertently broken the first rule of combat: never bring a clarinet to a swordfight. “Poop,” he said to no one in particular. He immediately had to duck to avoid a wild swing of a claymore from a bandit. 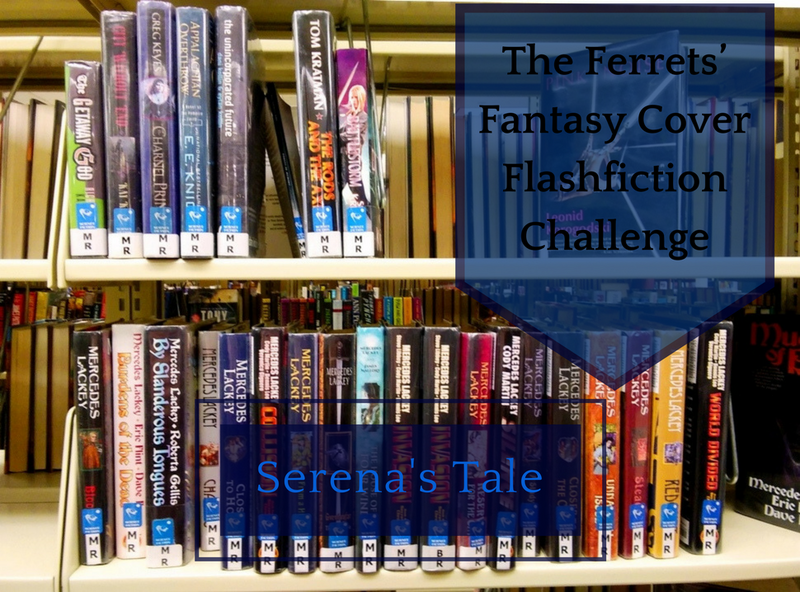 The Ferrets’ Fantasy Cover Flashfiction Challenge! 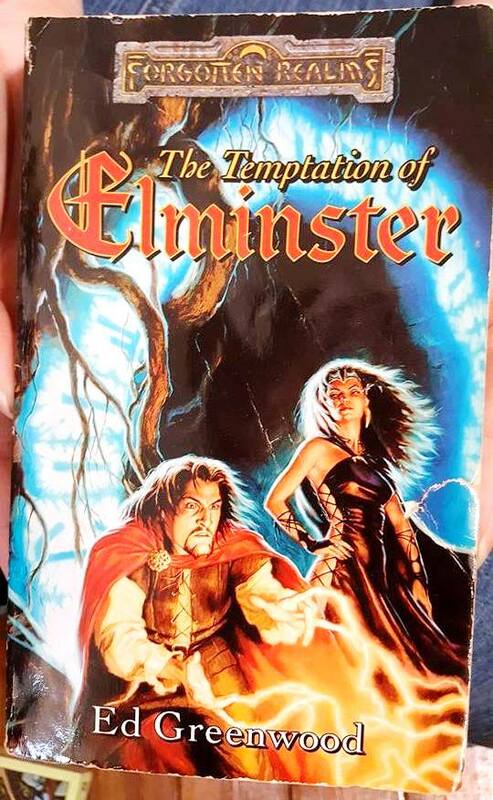 You know the feeling of finding a really awesome cover on a fantasy novel – or an incredibly mad-looking one? Especially if you’ve been reading fantasy for a while, or have ever wandered into the shelves of a secondhand book store or library where the ‘70s speculative fiction novels dwell . . . I’m sure you’ve seen more than your share. Rebekah and I were having a conversation about such books as we sorted through them at a secondhand book sale a few years ago, and hit upon the idea of this challenge. Take one such cover, study the art, and write a short story that shows or fits that scene. The other Ferrets were equally tickled by the idea, and we decided to take it to our blog! On our last Ferrets on the Town excursion we visited Boarding House Books in Claremore (which is really a lovely place) and while we shopped, we also looked around for some wonderfully crazy book covers and snapped photos. Over the next few weeks, we Ferrets will be writing short stories inspired by this, our chosen (by popular, internal Ferret vote) cover! Note: we have not read this book, we were just really snagged by the cover’s craziness. Flashfiction pieces will be no more than 2k words. Probably they will remain in the fantasy genre, but if one of my fellow Ferrets can make that into another genre, more power to her for it! I’ll be honest with you, I have no idea what I’m going to do with this cover as inspiration myself, but I’m definitely looking forward to seeing what the others do with it! We hope you enjoy the results.